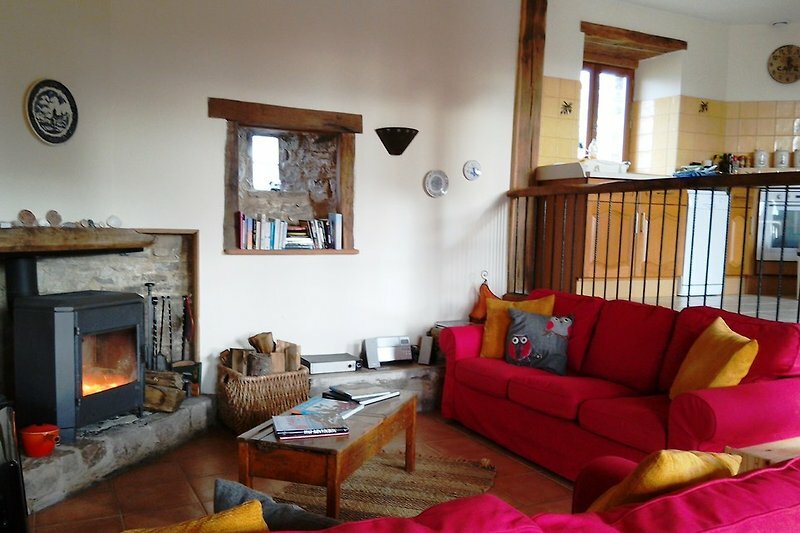 Eco-Gites of Lenault is an extremely spacious property which is also lovely and cosy for winter holidays. Downstairs is open plan on 2 levels. You enter the front door into a lobby area and then the well equipped and large kitchen. 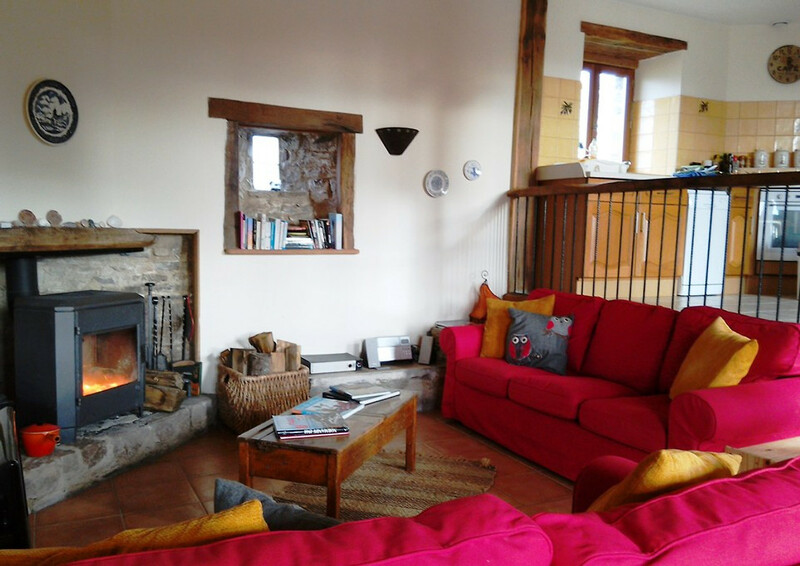 3 steps take you down to the dining room/living room where you can either relax in front of the woodburner on cooler evenings or enjoy a meal around the dining room table. 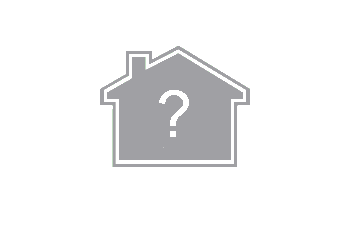 On the first floor you will find 2 bedrooms and a bathroom. 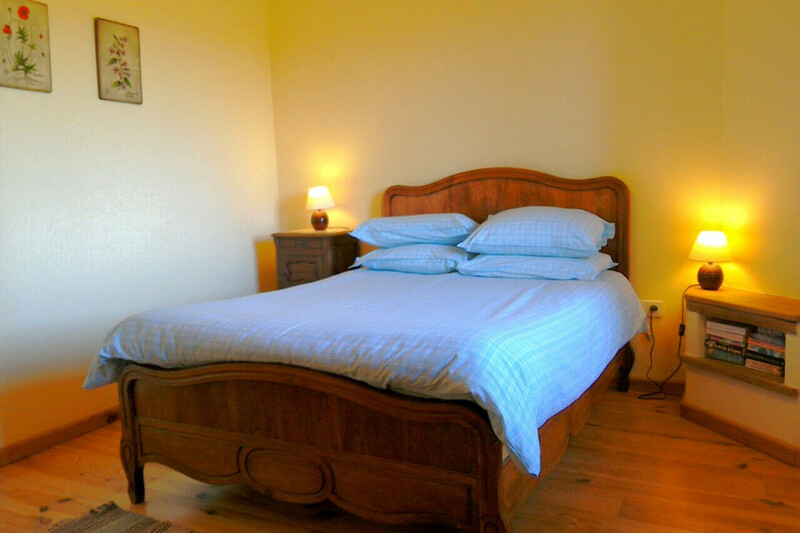 The Master Bedroom contains antique French furniture and has a double bed, bedside tables and a large wardrobe. 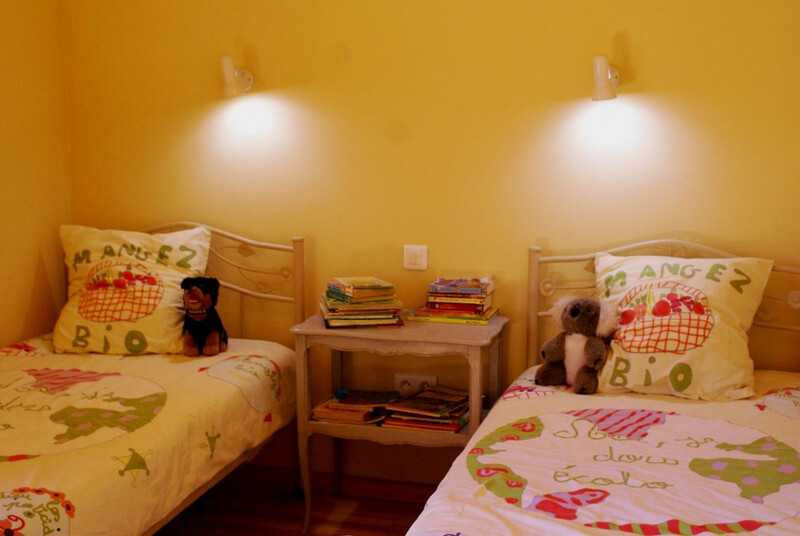 Next door is a twin bedroom with 2 single beds, a bedside table and large wardrobe. 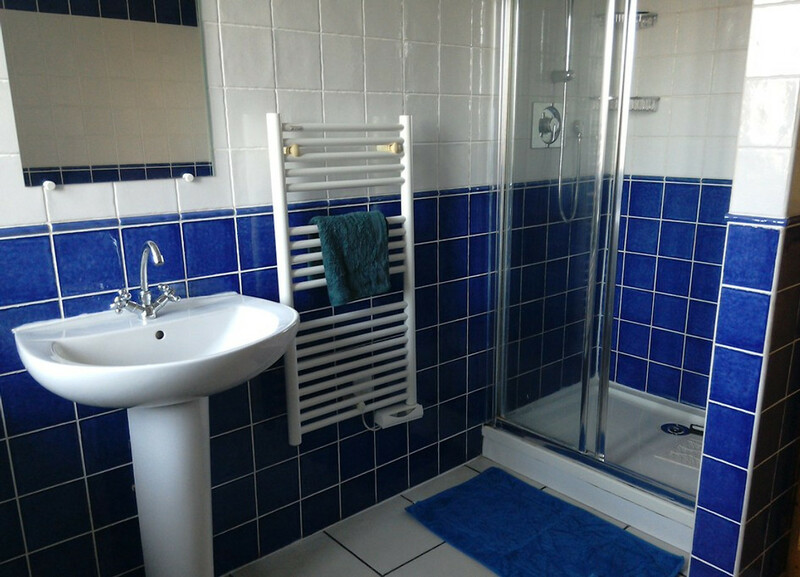 The bathroom contains a large walk-in shower, wash basin, toilet and washing machine. A second set of stairs takes you to the third floor which is an enclosed mezzanine with a single bed, bedside table and fitted cupboard. 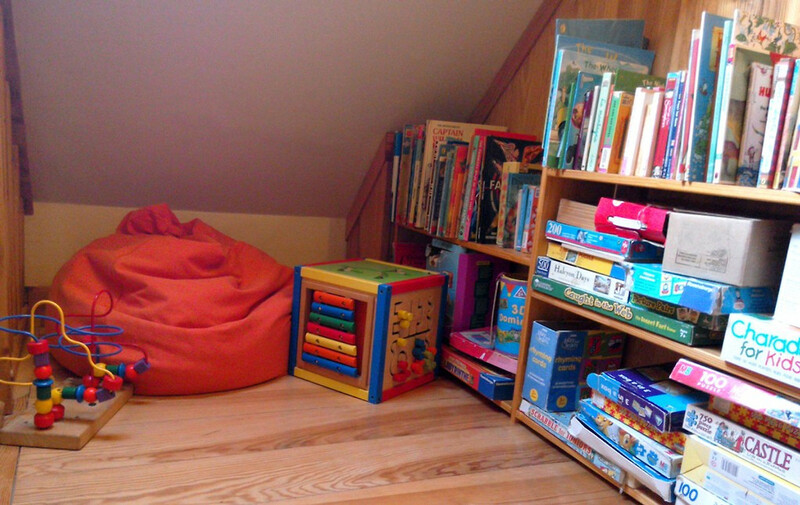 This room also doubles up as a playroom with many toys, games and books. For younger guests we supply, free of charge, a travel cot which easily fits in any of the bedrooms. You will also find stair gates, a baby bath, step to reach the basin, a potty, a high chair, a dining room booster seat, a bed guard, blackout window blinds, a fire guard and a night light. A stick blender is available on request. All of these items are stored away when only adults visit. 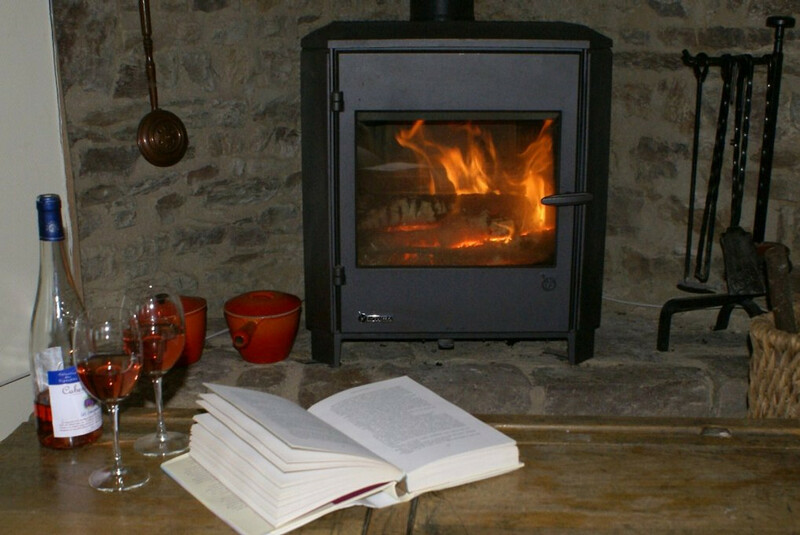 The gite is heated by a very efficient woodburner with additional oil filled radiators should you need them. Guests can connect to the Internet with free wifi and there is a good mobile signal. 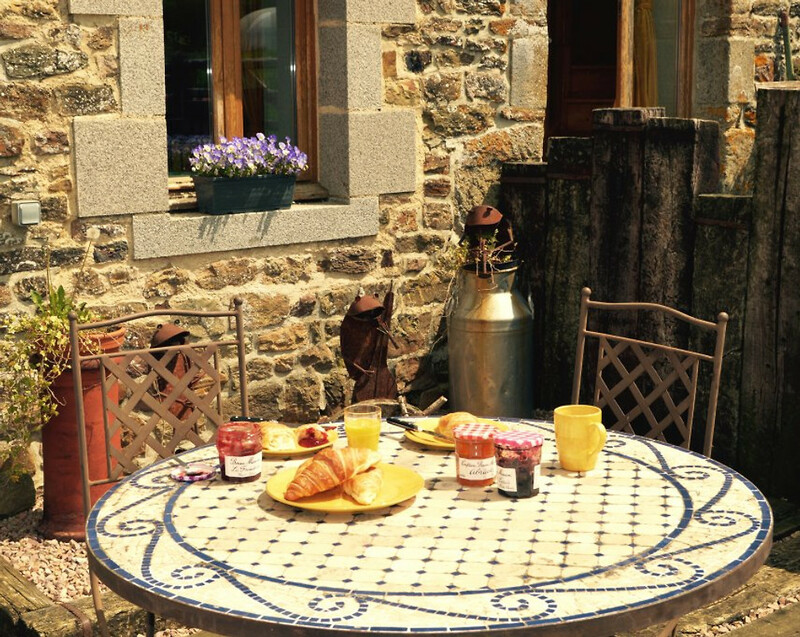 Outside you have your own private garden with garden table and chairs, sun loungers, a parasol and a BBQ. A few metres away is a large play area with swings, slide, play tower, sand pit, trampoline and outdoor toys. 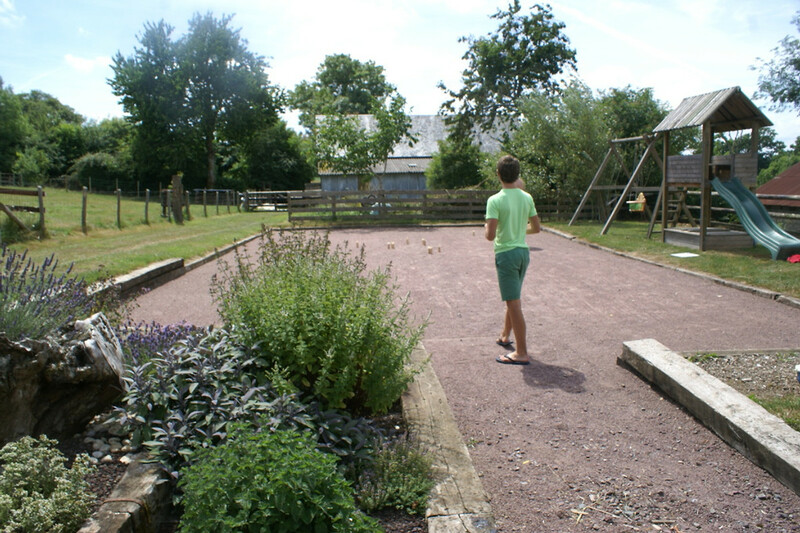 There is a hard standing area for playing boules and where young children can ride bikes. 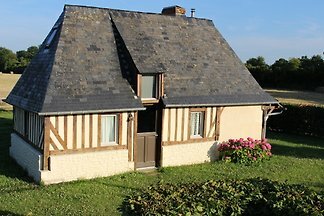 The gite is located on our smallholding with views from the windows of our fields and animals and further away over the beautiful green countryside of this part of Calvados. At certain times gusts can help feed the animals and collect eggs. Our pigs love a back scratch too! 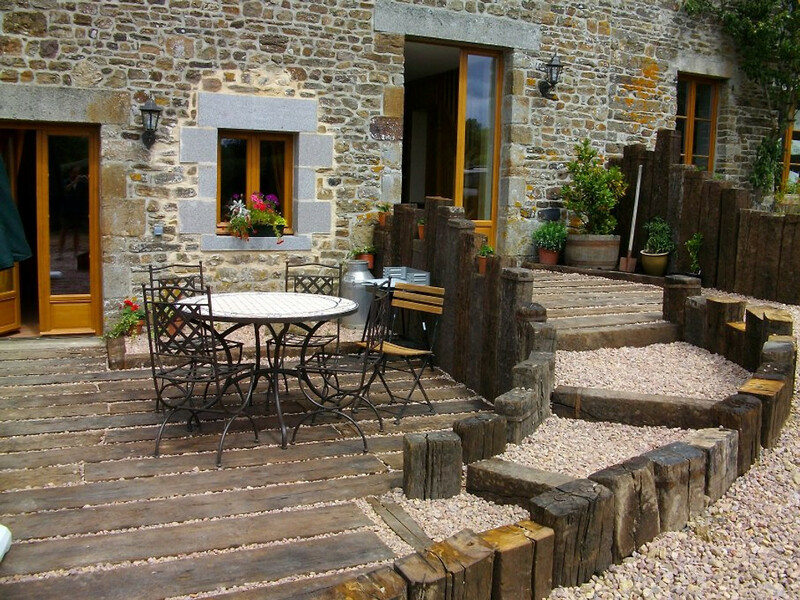 Eco-Gites of Lenault is located 2kms outside the village of Lenault and 300m up a track, overlooking open countryside on all sides. 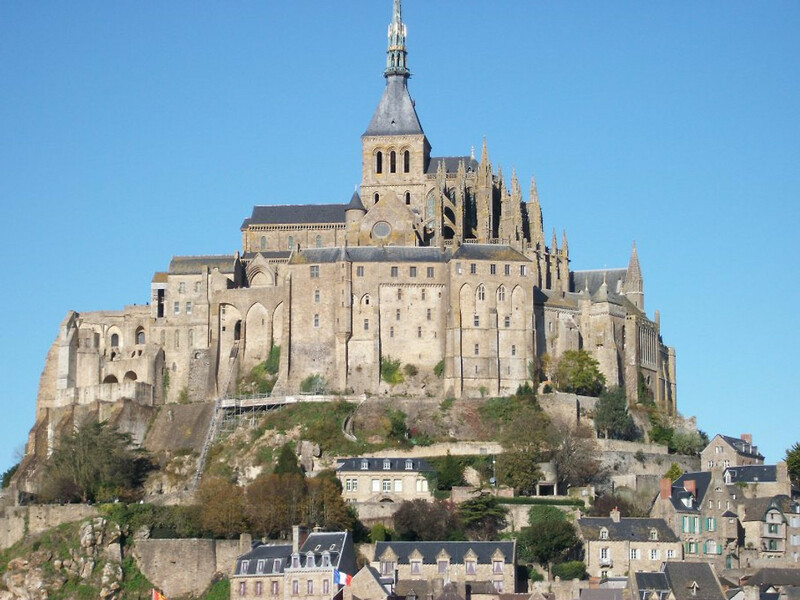 It is on the edge of the picturesque region of Swiss Normandy famous for its outdoor sports such as walking, rock climbing, water sports and off-road cycling. 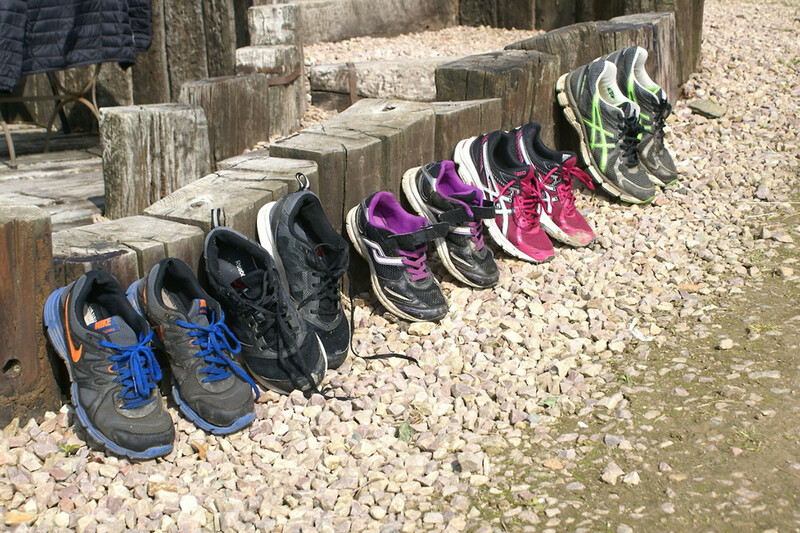 Guests who enjoy walking can join footpath GR221 directly from our back gate. The nearest bakery is 5kms away and 3 small towns can be found within 13 kms where you will find supermarkets, bars, banks, museums, swimming pools, shops, parks etc. A small pizzeria opens on certain weekends in Lenault itself. Please ask for opening dates. 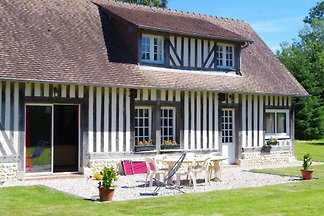 The gite is also very close to a wide range of tourist attractions. 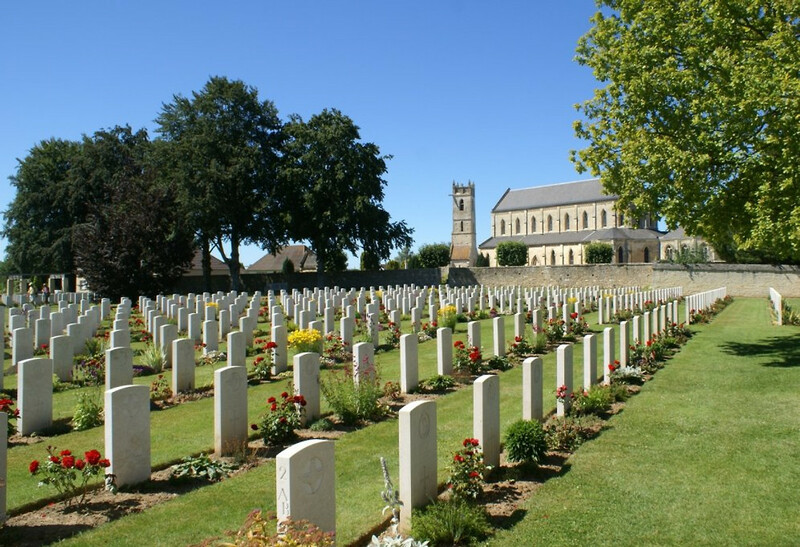 Popular locations you may like to visit include Mont St Michel, the D-Day Landing Beaches, museums, cemeteries and memorials, Caen, Falaise, Bayeu and, Honfleur (to name just a few). For children there are local zoos, soft play area, tree top trails and Festyland Theme Park. 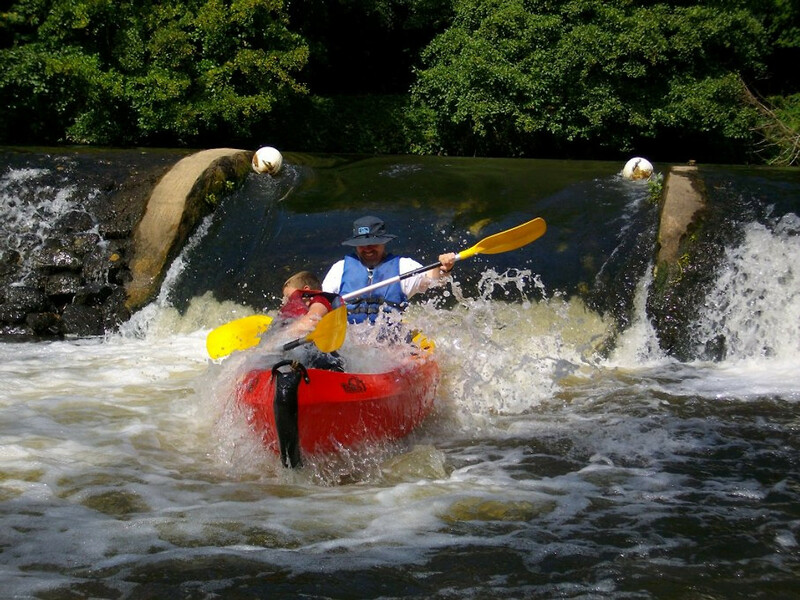 Maybe you like getting your adrenalin pumping when on holiday. In which case, close-by you can find bungee jumping, dry toboggan runs, cliffside walks (Via Ferrata), horse riding, giant zip wires, kayaking and paragliding. We would love to have adedphotos of all ther eis to do but there wasn't space - you'll just have to visit here and see/enjoy them for real! 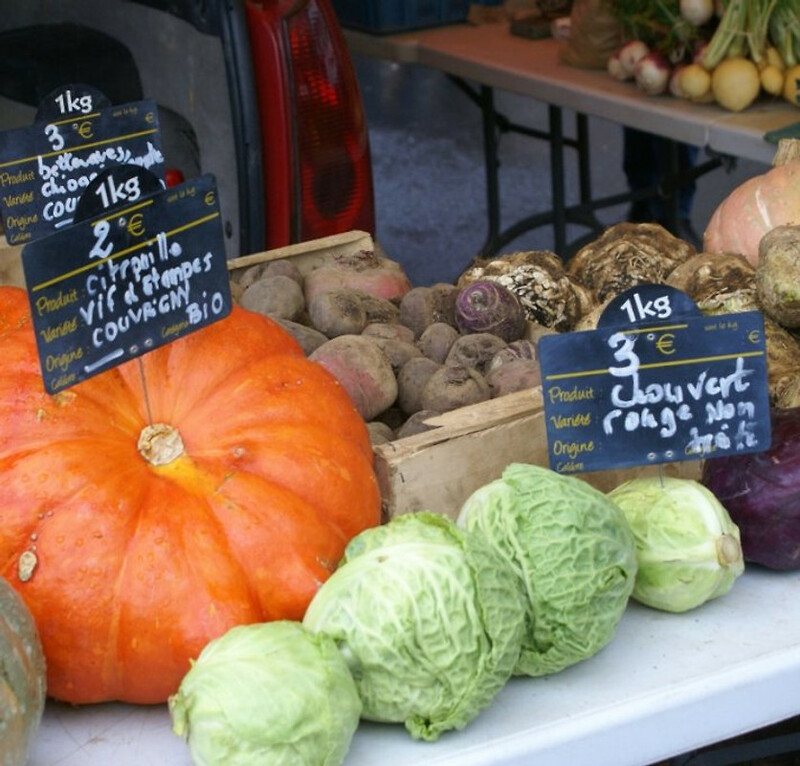 In the local towns there are daily local markets nearby as well as museums, art galleries, castles and plenty of festivals and local events for you to enjoy. We welcome stays of less than a week in mid and low season with flexible start dates. Please contact us for a price as those given here are not correct for short stays. Taxe de Séjour (Holiday Tax) is payable in cash on arrival - 60c per adult per night. Children under 18 are exempt. Cleaning is not included in the rental price. 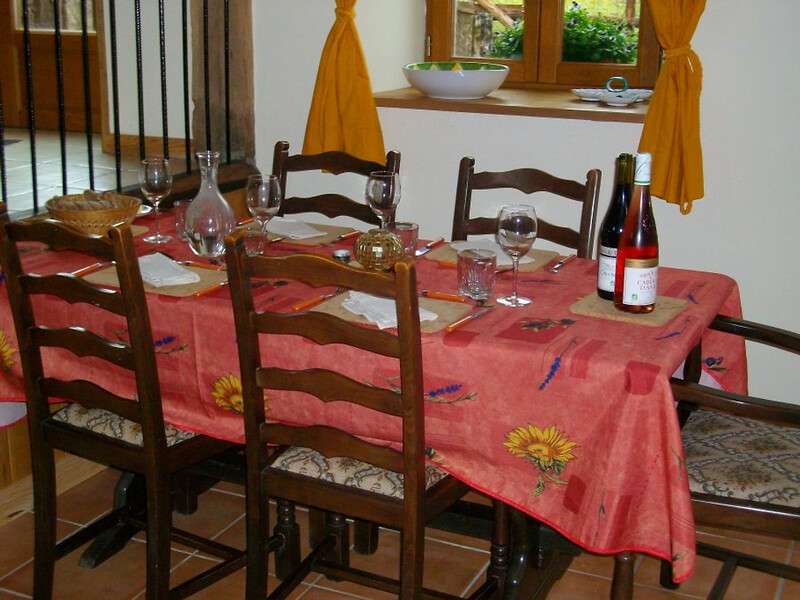 Guests are given the choice of either requesting an end of let clean (40€, payable in cash on arrival) or you can clean the gite yourself, leaving it clean and ready for the next guests. If you cancel after one week but before 6 weeks before your rental start date we will retain your full deposit but no further charges will be made. If you cancel less than 6 weeks prior to your rental start date after making full payment we will retain the full payment. We will endeavour to relet your dates in which case we will refund you, minus as admin fee. 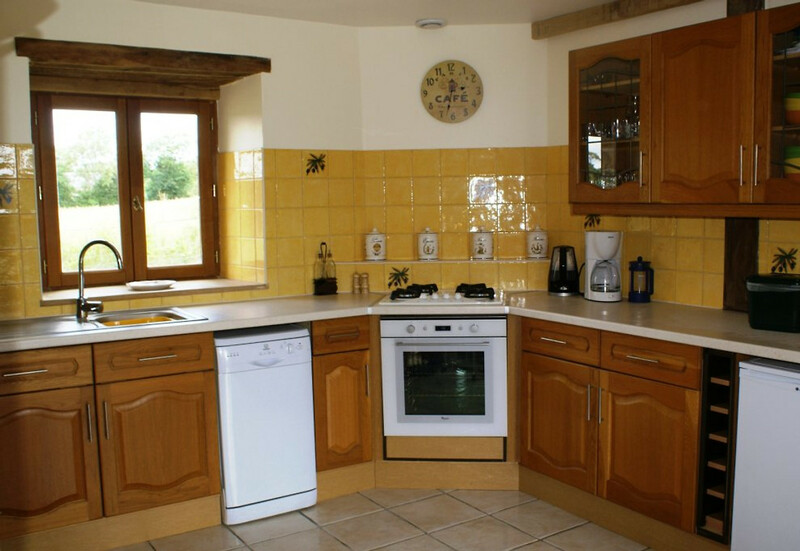 Come and sample some delicious Normandy cuisine or cook your own meals in our well equipped kitchen. For a night off (or on your first night) we can prepare you a simple supper of up to 3 courses. We also sell home-made cakes. If the chickens are laying and the veg patch is doing well you can buy eggs and vegetables from us. Bedlinen, towels, a bathmat and tea towels are included in the price but visitors will need to supply their own bedding for the cot. The gite is non smoking (including e-cigarettes) and we ask that if you smoke you only do so outside and not in any of the barns. Please dispose of cigarette ends in the outside bin. We welcome up to 2 well behaved dogs. We have 2 friendly dogs and other dogs often visit here. We ask that your dogs do not go upstairs (we can supply stair gates), do not sit on the sofas and that you clear up after them. If you really can't keep them off the sofa we can supply throws to keep the furniture clean. 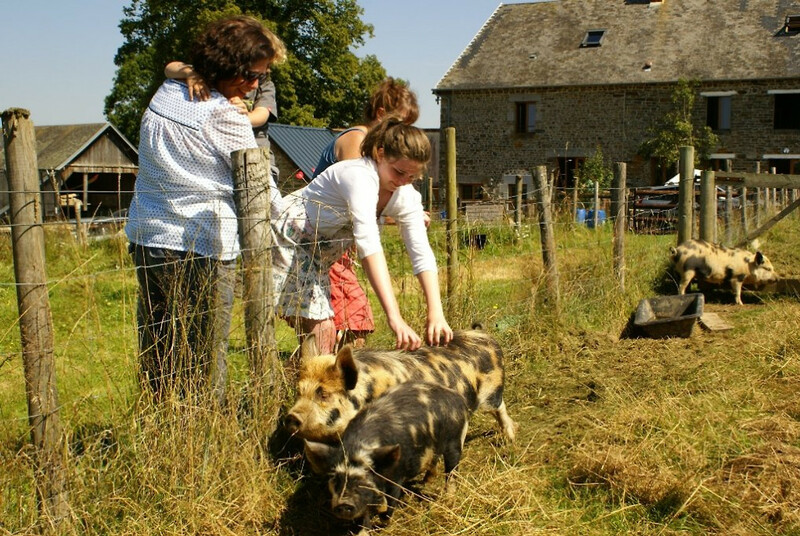 Eco-Gites of Lenault welcomes visitors all year round. Being highly insulated it stays lovely and warm even in cold weather thus making it a perfect winter retreat. 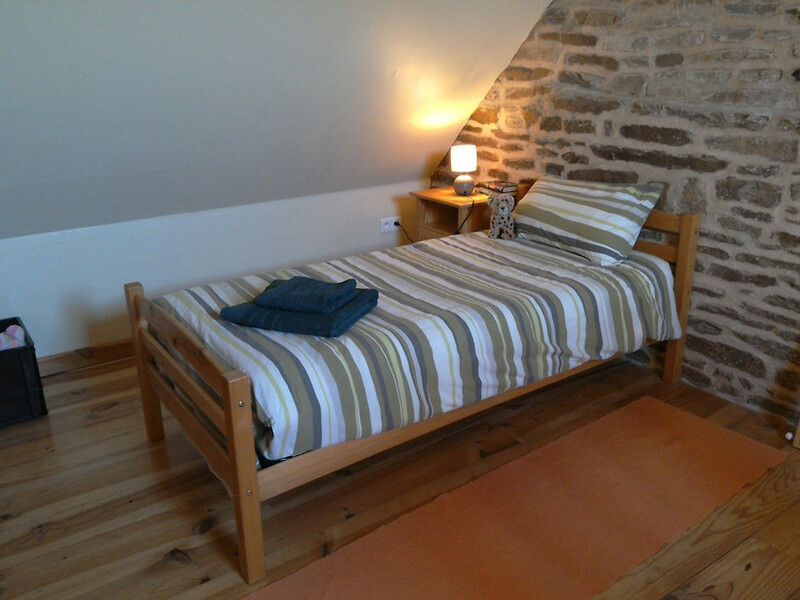 "A really super Gite - extremely well equipped and comfortable. Our visit to Normandy this time was to visit the D-day beach sites and after each very intensive day it was great to return to the gite for a relaxing evening in the peace of the gite is centrally placed for easy access to all the D-day beach sites and also to the sites to the south in the Falaise gap. Simon and Rosie were excellent, helpful hosts. It was fun to see all the animals and when my kids were younger they would have loved seeing them and using the various play activities. 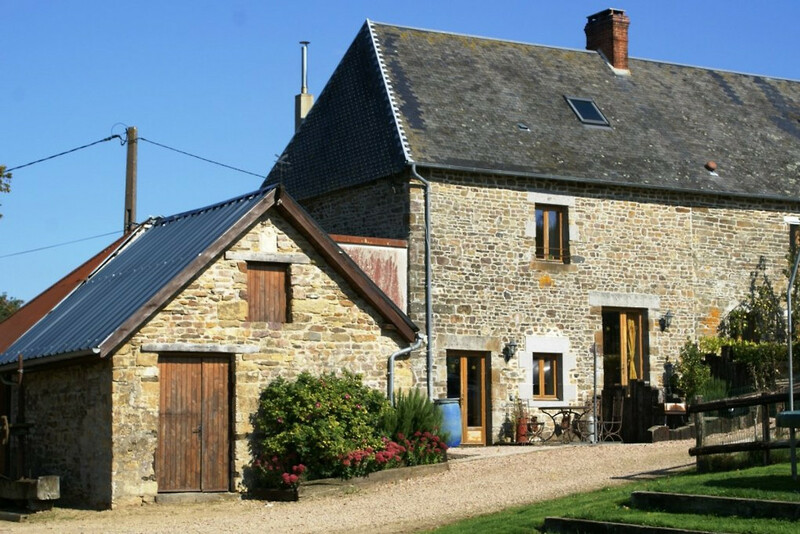 I would recommend the gite to anyone." 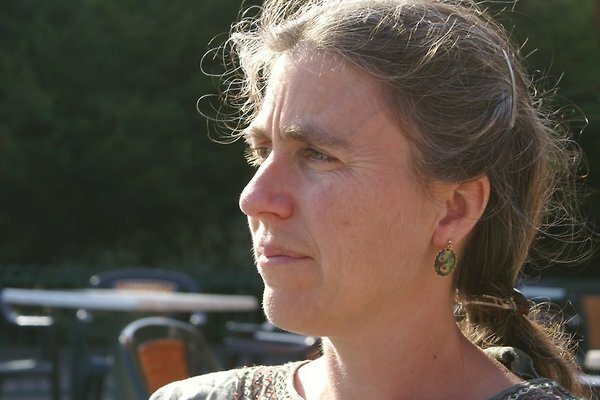 I am Rosie and I have lived in France with my husband, Simon and our 2 boys since 2007. 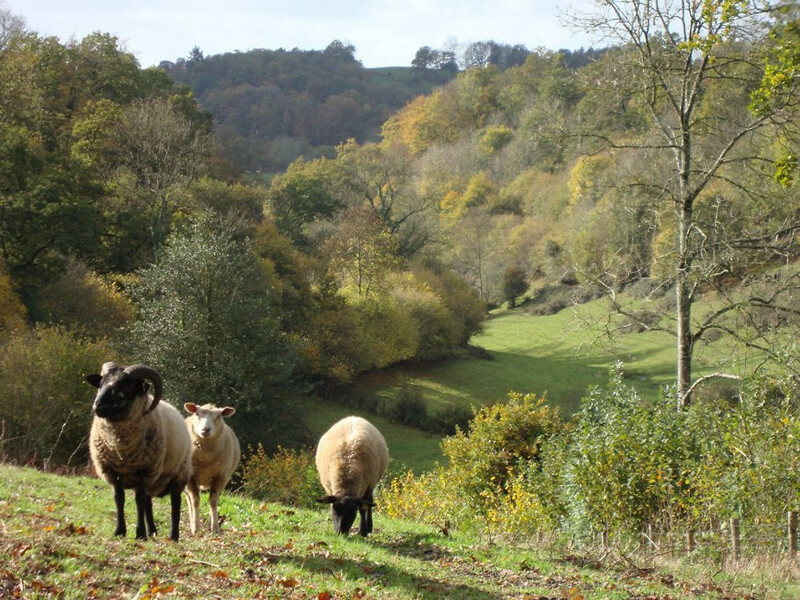 We moved here to give our boys a rural upbringing and so we could also produce as much of our own food as possible on our smallholding.